Survivors are marginalized when communities are all too willing to accept the claims made by perpetrators and their supporters that the individual disclosing the abuse is “crazy” and should be ignored. Survivors are marginalized when perpetrators and their supporters paint them as helpless souls. Survivors are marginalized when those who support them are maligned as being irrational and harmful. Survivors are marginalized when those within the community value their own reputation over the life of the abused. Survivors are marginalized when a community is disingenuous about its responses to abuse disclosures. Survivors are marginalized when the community misplaces its focus on behavior of the abused instead of the abuser. Another common marginalizing phrase is “the spirit of Ham” or “the sin of Ham.” The story of Ham’s transgression has been used repeatedly to refer to adult children who “uncover the nakedness” of their parent’s sins (e.g., alleged abuses against the adult children). This is wrong because the sin of Ham wasn’t that he was exposing abuse — the sin of Ham is that he sexually abused a family member. CHEA is concerned for all victims of child abuse of any kind, whether in a homeschooling family or not. Unfortunately, this is a problem in our culture as a whole, which we believe is a direct result of sin in our world—”all have sinned and fallen short of the glory of God”—not specific to the homeschooling community. This verse has often been used to dismiss abuse in specific contexts. I experience this dismissal most commonly when addressing abuse in homeschooling environments (though I have seen it used in other environments as well, both conservative and progressive). The verse is meant to imply that, “Yes, abuse may or may not happen in our community, but everyone sins so abuse is a universal problem that’s not inherent to our community.” In other words, one can ignore the specific manifestations of abuse in one’s community as long as one is waging a theoretical war against abuse in a general sense. There are 3 problems with this mindset that require a response. 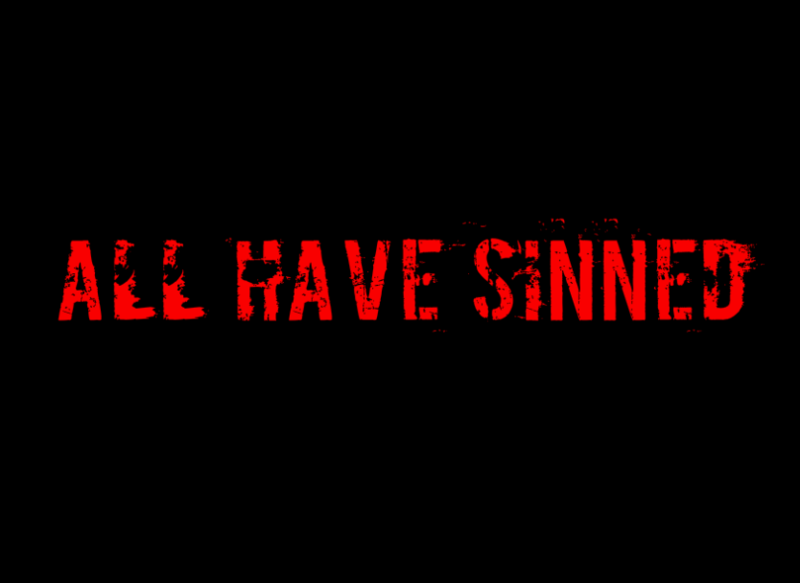 First, “all have sinned” means people in your specific community are sinners. If your takeaway from the phrase “all have sinned” is that the sins in your own community are somehow nonexistent or less important than the sins in other communities, you are missing the point. This verse should be a wake-up call to come to grasp with the skeletons hiding in our own closets — especially when those skeletons include the violation of children’s bodies, minds, and souls. Second, “all have sinned” means our power structures reflect our sin. The Christian Homeschooling Movement, like any other movement, has a power structure: from HSLDA to the Alliance to the state conventions to the curriculum makers to the state organizations. There is a system in place that, while allowing for some diversity, serves as a gatekeeper to vet who is allowed to speak where and to teach what. The power structures within homeschooling, that have been in placed since the 1980’s, are the very power structures that have either given rise to or turned a blind eye to abusive parenting techniques and abusive parents. Yes, child abuse is a problem in our culture as a whole. But how child abuse manifests depends on the power structures in which it festers. Child abuse in Turkey looks different than child abuse in Papua New Guinea. And child abuse within the Christian Homeschooling Movement, while sharing similarities with child abuse elsewhere, will have certain unique attributes, causes, and forces of exacerbation. To ignore the systemic nature of sin, and to ignore the system sin nature that gives rise to child abuse within homeschooling contexts, is to ignore the full meaning of Romans 3:23. Third, “all have sinned” means you don’t get to claim an advantage for your own community without effort. What shall we conclude then? Do we homeschoolers have any advantage? Not at all! For we have already made the charge that homeschoolers and public schoolers alike are all under the power of sin. Until homeschooling communities actually start putting in the hard work of fighting the sin of child abuse in their own backyards, they have no right to claim child abuse is “not specific” to their homes, support groups, and state and national organizations. We at Homeschool Alumni Reaching Out have heard from hundreds of alumni where child abuse was specific to their homeschooling environments. Their parents abused them, often horrifically and violently, using ideologies and parenting techniques they were specifically taught at homeschooling conventions by homeschool speakers recommended by state and national homeschooling leaders. What shall we conclude then? Do we homeschoolers have any advantage? Not at all! The sooner we acknowledge that Romans 3:23 means homeschoolers must take their own sins as seriously as the sins of public school, the sooner we can make homeschooling better for future generations. Until we do so, we are marginalizing and erasing the voices of alumni who are bravely telling us their stories. R.L. Stollar is the Executive Director of Homeschool Alumni Reaching Out.